Home / Review / Nvidia GT 1030 vs AMD RX 550: What’s the difference? Which is better? Competitive PC video gaming no longer requires a very expensive hardware configuration. Both Nvidia and AMD are now offering graphics cards retailing for under 100€ which are powerful enough for gaming in 1080p. Beginning with its GT 1030, Nvidia has been more focused on improving the efficiency of its graphics cards than their raw performance characteristics. AMD has also adopted a similar strategy for the design of its two newest graphics cards – the RX 550 and the RX 560 (which belongs to a slightly higher product line). But what can these graphics cards be used for? 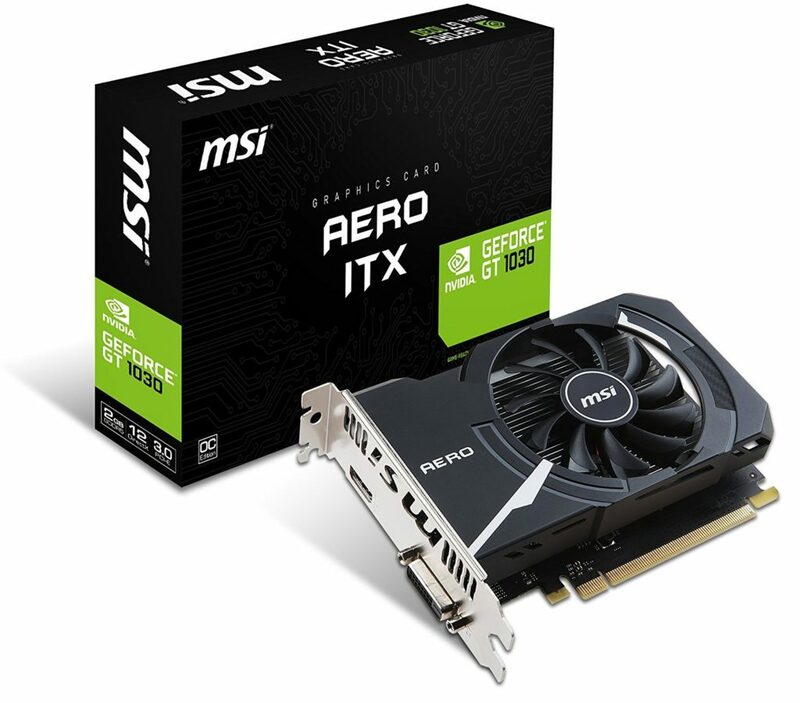 In addition to being well-suited to building small media-center computers (that can be placed under a TV), these graphics cards are also ideal for entering the world of competitive PC gaming without having to spend hundreds of euros on hardware. In fact, the majority of competitive PC games are very highly optimized and do not require a powerful hardware setup in order to be played. The main consideration with this type of game is ensuring a constant, and sufficiently high frame rate (in order to allow players to follow all of a game’s action without their computer lagging). Among the most highly competitive PC games are, of course, Overwatch, Starcraft 2, and Heroes of The Storm as well as League of Legends, Dota 2, and Counter-Strike: Global Offensive. Not to mention Hearthstone which can even be played on an iPad. Nvidia has, of course, developed a graphics card for this under-100$ market since it is very interested in flooding the gaming market with its GPUs. The Nvidia GT 1030 is a small graphics card that can be purchased starting at 80$. Like other more powerful cards in its 10 series, the GT 1030 has a Pascal GPU with 2 GB of RAM, 14 nm etching, and 384 CUDA cores (operating at a frequency of 1 468 Mhz). The 1030 is particularly energy efficient (Nvidia claims that it only uses 30 Watts), making it well-suited to computers with a small power supply of around 300 Watts. In terms of connectivity, it is equipped with a Display Port 1.4 connector as well as an HDMI port and a DVI port. In terms of the GT 1030’s benchmark performance, the first results published by gamers estimate an average of 73 fps for Overwatch (minimum of 57), 127 fps for Counter-Strike Go (minimum of 85), and 66 fps for Dota 2 (minimum of 50)… which should be more than enough for playing these games in 1080p. The 1030 is also available in a passive configuration, that is to say, a version without a fan. The RX 550 is AMD’s answer to Nvidia’s entry-level GT 1030. 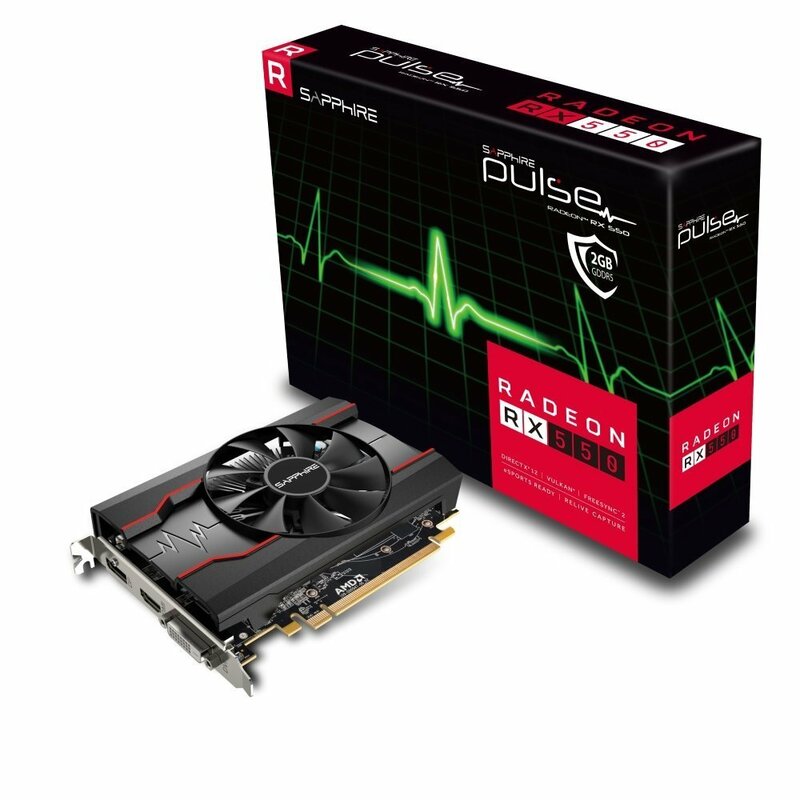 The RX 550 is marketed as a graphics card for building a multimedia computer that can be hooked up to your TV. That having been said, just like the GT 1030, the RX 550 is more than powerful enough to run the majority of competitive PC games. AMD’s graphics card can be purchased starting at 110$. 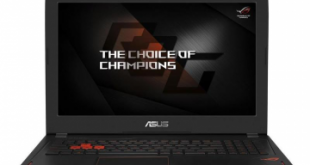 For this price, you get a graphics card equipped with 2 GB of GDDR5 RAM and a graphics processor based on the Polaris 12 GPU with 14 nm etching and a frequency of 1 206 Mhz. The RX 550 is equipped with 512 stream processors as well as the same connectivity as its Nvidia counterpart: one Display Port 1.4 HDR connector, one DVI port, and one HDMI port with 4K support. However, AMD’s graphics card is a little more power hungry than Nvidia’s – requiring up to 50 Watts (as such, it requires at least a 400-Watt power supply). In terms of its performance, it is able to run Counter Strike Go at an average of 108 fps (minimum of 70), Overwatch at 68 fps (minimum of 53) and Dota 2 at 60 fps (minimum of 42). These numbers are very similar to those obtained with the Nvidia 1030. 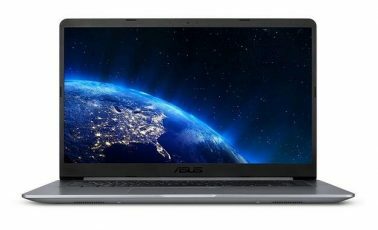 With a balanced and inexpensive hardware configuration (a Pentium G4560 would do nicely if you are on a tight budget, in conjunction with 16 GB of RAM), it is now possible to play competitive PC games in 1080p with a frame rate of over 60 fps with a graphics card retailing for under 100$. The difference between these two cards is that the RX 550 is more professionally oriented whereas the GT 1030 has a slight advantage when it comes to gaming. Your choice will depend on your intended usage. At any rate, going one step up in either of these manufacturers’ product lines will put you over the 100$ threshold: the AMD RX 560, which is marketed as a gaming card retails for 130$ while the Nvidia GTX 1050 can be purchased starting at 140$. 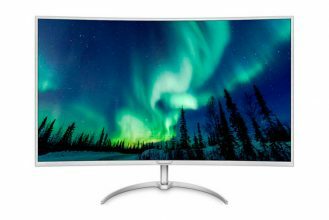 Previous What are the best computers and tablets for studying?